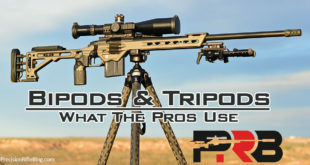 This post is about the rifle barrels the best precision rifle shooters are using. 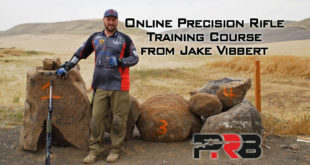 It is based on what the top 50 long-range shooters nationwide brought with them to the Precision Rifle Series (PRS) Finale a couple weeks ago. 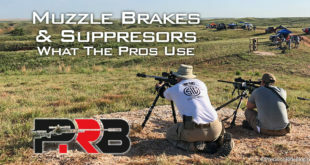 These are tactical/practical style matches with target engagements ranging from 25 to 1,200+ yards, but there is definitely a focus on the “precision” rifle part regardless of the range. For more info on who these guys are, and why you should care what they think scroll to the bottom of this article. Here is the list of the barrels the top 50 shooters brought with them to the 2013 PRS season finale. It also shows the number of rifles that were represented at last year’s season finale in the semi-transparent gray color. 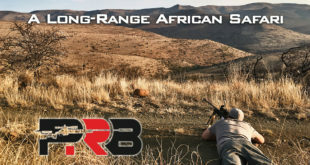 One disclaimer with rifle barrels is all of these custom barrel manufacturers make amazing match-grade barrels that are sure to please even the most demanding shooters. All of the companies listed are best of class. In fact, there are a few great barrel makers that aren’t on this list. 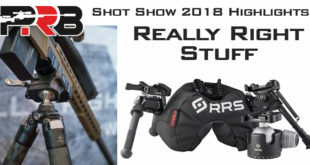 While there are some differences among these guys in terms of how they make barrels, there are big name shooters who use each one of them and I’m sure records have been broken with just about all of them as well. Bartlein barrels completely dominated the finale this year, with almost 60% of the pro’s rifles sporting a Bartlein match rifle barrel. They were the most popular last year as well, but only had 35% more than their nearest competitor … this year Bartlein had 3.6 times more than their nearest competitor. In fact, there were only 23 barrels at the finale that weren’t Bartlein. Krieger barrels were once again the second most popular barrel used, but had a sharp decline since last year. I’m not sure if this was due to availability problems, or if this trend was a result of something else. I did call Krieger this week (week of Jan 1st) and they told me they have an 11 month wait on Heavy Palma or MTU contours for a 6mm or 6.5mm. What is clear is that practically all of the shooters that moved away from Kreiger … landed with Bartlein. Brux barrels held steady with 6 shooters represented again at this year’s finale. There were a couple more people using Benchmark barrels, and one more using a Rock Creek barrel. Following those guys were a few other amazing barrel manufacturers, but they just weren’t represented in many numbers among this crowd: Shilen, Schneider, and Broughton. Among the top 20 finishers in the group, it was no surprise to see that Bartlein still had more represented. However, it was a surprise to see more Krieger barrels in the top 10 than Bartlein. 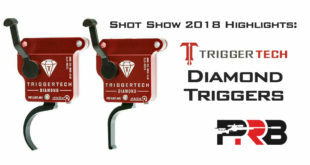 Now, any of these fine custom barrels could get the best shooter in the winner’s circle, it is a strong vote of confidence that half of the guys who finished in the top 10 were running a Krieger. Deciding on a barrel contour and length is a very tricky decision for guys in tactical/practical style matches, because it’s hard to strike the right balance between weight and precision. Long-range hunters have a similar struggle. Benchrest competition rifles are extremely precise, but it’s common for those to weigh 30 lbs and some are 60+. 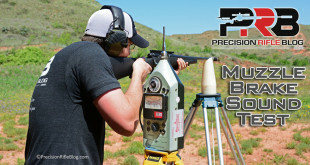 While PRS shooters demand a similar class of precision, they also must carry their rifles for miles in a single day of competition and operate them in all kinds of positional shooting scenarios. The balance between weight, maneuverability, and precision is a serious point of contention. Although the only data collected when we surveyed the top 50 PRS shooters related to barrel was the manufacturer, I was very curious about the contour and barrel lengths common among these guys. 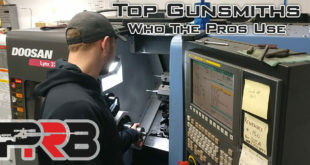 So I asked a few of the veteran shooters who finished in the top 10 what they thought were the most popular barrel contours and barrel lengths among the group of guys that made it to the finale. Neither of the guys I asked had hard data on this, but I asked them to just give me their best guess based on their extensive experience. 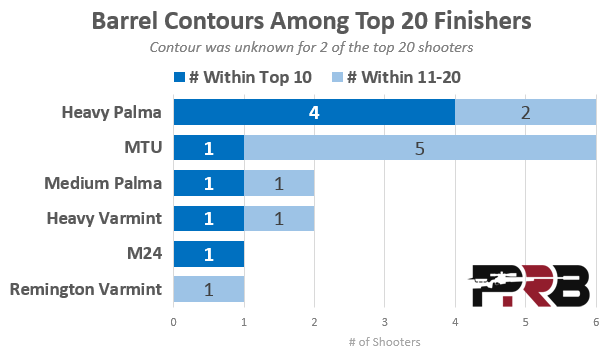 What are the most popular barrel contours among the top 50 shooters in the PRS? Rich Emmons (Founder of the PRS, Finished 8th Overall) thought the breakdown might something close to 30% MTU, 30% Heavy Palma, 30% Medium Palma, and 10% Heavy Varmint. 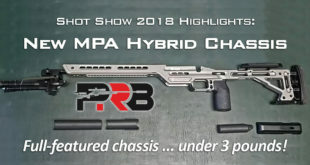 George Gardner (President & Senior Rifle Builder at GA Precision, Finished 5th Overall) said he thought around 50% of the guys were running either a MTU or M24 contour, which are similar, and the other 50% were running a Heavy Palma or Tubb contour. He said his shooters on the GAP team all run Heavy Palma type contour with a 0.900” muzzle. George said the barrels they use have a 3.5” breach before threading and chambering, so it leaves 2” of straight barrel in front of the action because it starts to taper. He said that is enough room to allow them to setback the barrel if they wanted to after the throat starts to erode. 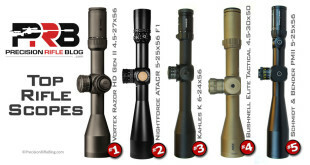 What are the most common barrel lengths? Rich Emmons thought around 65% of the shooters in finale were using barrels between 24” and 26”. He thought 30% were running longer barrels at 28″, and only 5% of the shooters running shorter 22” barrels. George Gardner said 26″ is the most common, and 28″ is the longest he’s seen at a match. 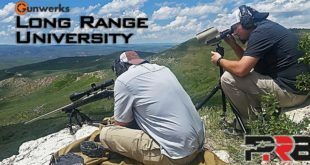 He did say that shooters running suppressors were using 22-24” barrels, but there weren’t a lot of shooters among the top 50 using suppressors. Note: Although most of the contours dimensions are the same among all the manufacturers, that might not always be the case. The contours shown are for Bartlein barrels. I did notice the cylinder section at the breech of the Palma Contours varied some for the Krieger barrels (Krieger’s was 1/2″ shorter than what is shown here). There may be other minor variances among manufacturers. Here is a breakdown of the barrel manufacturers these guys use, along their pricing (for these contours and lengths) and lead time as of January 1st 2014. All of this is subject to change without notice, but I wanted to provide what I could since this info is hard to get to with a few of these guys. They’re in order by popularity among the PRS shooters. 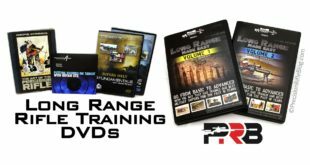 Fellow shooters have turned me on to a couple sites that keep a plethora of barrels in stock and ready to ship. A few of them even sell for prices that are lower than what the manufacturer sells them for (at least to the public). If you don’t have time to wait months for a barrel from the factory, you should see if one of these guys has something in stock that you might like. Cut rifled vs. button rifled is a long-standing debate in the shooting world, and it is beyond the scope of this article. But I thought it would be interesting to see what these guys were leaning towards based on the rifling method they opted for on their rifles. Looks like they were leaning pretty hard towards cut-rifled barrels. We pre-lap our barrels before rifling and finish lap the barrel after rifling. There is no need to fire lap or do any other sort of bore polishing to the barrel. Contrary to what others say, a lapped barrel will not wear out earlier vs. an unlapped one. In our experience, our barrels will typically last longer than a button barrel. Krieger is a big operation; they employ 26 people and usually have 15-16 people on the production floor. They have averaged 12,000 cut rifled barrels per year for the last 4 years, and do this with 5 Pratt and Whitney twin spindle riflers, 4 twin spindle gun drills, 2 twin spindle reamers, and one six spindle reamer. All barrels are cryogenically treated in-house to assure stress free steel, and are reamed, pre-lapped, rifled, and final lapped by one guy from start to finish. These don’t get passed back and forth from department to department. Krieger will be seen on the leaderboard of almost every type of shooting competition, and has been a favorite of gunsmiths for years. You can’t go wrong with a Krieger. We rifle by the single-point cut-rifling process. Although our machines are state-of-the-art, the process itself is the oldest and slowest method of rifling a barrel. The cutter removes approximately .0001 inch on each pass, thus taking several hundred passes to rifle a barrel. This method produces almost perfect concentricity between bore and groove, a very uniform twist rate, and induces no stress into the steel that later has to be relieved. Along the same lines, we do absolutely no straightening of our barrels as this would only put stress right back into the steel. Our barrels are lapped after reaming to remove the tool marks and then lapped again after rifling. We are lapping finishes under 16 micro-inch in the direction of bullet travel, so fouling is greatly reduced, and they clean more easily. Our barrels are held to a tolerance of .0005” over the nominal bore and groove dimensions, but the dimensions are uniform within .0001” throughout the barrel and never bigger at the muzzle than the breech. Norman Brux has been making cut rifled barrels with Ken and Kyle Liebetrau in Lodi, Wisconsin since 2003. Norman’s father had bought and stored some barrel making machinery years back; Ken and Norm completed the machines and put them into service, starting Brux barrels. All barrels are cut with conventional rifling. Most are 4 groove, but the .338, .45, and .50 calibers are 6 groove. They produced about 1500 barrels in 2010, selling almost exclusively to the consumer and end user. Machinery includes 2 twin spindle riflers, 2 six spindle reamers, and 2 single spindle gun drills. All barrels are individually double hand lapped to a true consistent bore. The manufacturing process also includes double stress relieving and quality control inspection utilizing Diatest and air gauging prior to shipping. Barrel blanks are produced in all of the standard contours and with the option of 2C, 3, 3C, 4, 5C, 6 and 8 land/groove configurations and a variety of twists in most calibers. The flagship of Rock Creek Barrels’ product line is the single point cut rifled barrel. These barrels are manufactured on twin spindle hydraulic Pratt & Whitney rifling machines and are available in 5R or 7R rifling profiles. All barrels are hand lapped to superb interior finishes. 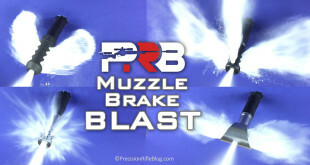 By the very nature of the how we modified these Pratt and Whitney machines, twist rates from 1:5 to 1:35+ are available. 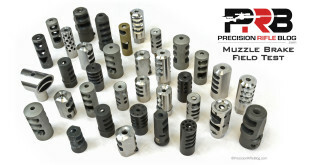 These stainless steel masterpieces of machining and hand lapping are intended for the competition shooter, or even the hunter, who wants the ultimate in accuracy and quality. These are our highest grade barrel and, of course, the most costly. What makes them so good that benchrest shooters, such as Tony Boyer, crave them? Consider this: To meet Select Match Grade criteria, the groove diameter must air gauge within .0003″ of our standard diameter. Moreover, the uniformity of the bore cannot vary more than .0001″ for the entire length of the barrel. These barrels are also completely stress relieved, and the bore is polished to a gleaming surface finish by our most experienced lappers. David Tubb, the winningest competitive rifleman in history, exclusively uses Schneider barrels. David has won 11 NRA National High Power Rifle Championship titles at Camp Perry, and shot the only perfect score ever fired (1450/1450). If you’ve read any of his books, you know that saying he is a fierce competitor is an understatement. I’m convinced, if there was something better available, he’d be the first to adopt it. Schneider makes the barrels used on the USMC M40 sniper rilfes, and the US Marine Corps just renewed his contract for another 4 years. Schneider builds the rifle barrels for the Secret Service. 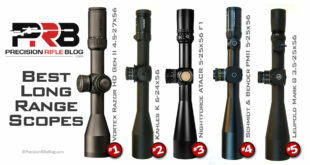 Schneider builds the barrels for the McMillan Firearms rifles like the TAC-50, TAC-338, and ALIAS Target (previously referred to as the Tubb 2000). At least for me, the facts above prove that even though some of these barrel makers didn’t have a huge number of shooters sporting them at this year’s finale … they’re all world-class. They are definitely in the same league as names like Bartlein and Krieger, or anyone else out there. The only assurance anyone has of barrel quality is purchasing from a known good barrel maker. There are a few who deserve recommendation, but the one I take my business to is Gary Schneider. I use Schneiders in all my across the course, long range, and rimfires. All Schneider barrels are hand lapped stainless steel. I have won what I have won, with three exceptions, using a Schneider barrel. … Again, there are a lot of good barrel makers from which to choose but I have stayed with the one that has been proven to me to work. Schneider barrels are all pull-button rifled with a lead, and Gary actually does all of his own tooling. Barrels are available in conventional 6 groove rifling, and also what Gary refers to as P5 rifling (some people call this 5P as well). This is also sometimes referred to as “polygonal rifling,” but that’s not to be confused with the old polygon pistol barrels. 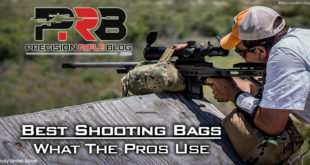 Gary told me that 95% of his barrel orders are for P5 rifling, and that includes the barrels Tubb uses and what the USMC installs on their M40 sniper rifles. He said the P5 rifling is different than the more common 5R rifling that people are familiar with. Gary said that like 5R rifling, it has a radius at the bottom of the rifling, but his polygonal rifling also has a radius at the top as well (i.e. rounded at the hill and the valley of the rifling). David gives a great explanation of the polygonal rifling in his book The Rifle Shooter. You can read an excerpt from that book here: Excerpt on Schneider Polygonal Rifling from The Rifle Shooter. Broughton 5C® Rifle Barrels are crafted from the finest material made today, 416R Stainless Steel. They are pulled button-rifled, double stressed relieved at the mill, and triple stress relieved in our shop. Then each barrel is hand lapped with a uniform land and groove diameter up to 0.0001″ from breech to muzzle. Our muzzle is NEVER larger than our breech. 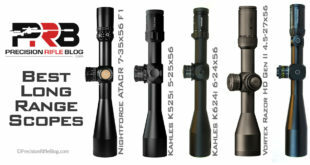 Since 2003 we have introduced 22RF, .224, .243, .264, 270, .284, .308, .338, and .375 caliber 5C® (canted land) barrels. 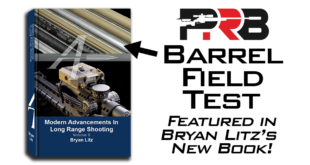 These barrels are showing exceptional clean ability, more velocity, longer barrel life, reduced bolt/breech pressure, and extreme accuracy – shooting small groups at short and long ranges. We first used the canted land pattern on .30-caliber and 6.5mm barrels, and the results were extremely positive. Accuracy was outstanding and the barrels were winning matches. It may seem hard to accept, but profiling one side of the lands really does improve many aspects of the barrel’s performance. First of all, we are seeing less fouling. Second, comparing barrels of the same length and same number of grooves, the 5C barrels are delivering higher velocities … as much as an extra 100 fps with the longer barrels. Do you have a breakdown of placement to contour? I was speccing out a build and it seemed while the most popular contour was Medium Palma, the winners were using Heavy Palma/HV/M24/heavier. That is a GREAT question! I’m surprised I didn’t have a chart showing that … so I went and ran one for the 2014 data, and you’re exactly right. Although there were more Medium Palma barrels used, barely any of those made it into the top 20. The Heavy Palma and MTU barrel contours were by far the most popular among the guys who placed in the top 20 in the 2014 PRS. What is interesting is although there were more people in the top 50 running Medium Palma barrels than any other, only 15% of those ended up in the top 20. Compare that with the fact that 67% (6 of 9) of the shooters running an MTU barrel ended up in the top 20! Heavy Palma also had a good representation, with 50% (6 of 12) of the shooters running a Heavy Palma ending up in the top 20. Interesting data for sure! That might make it the question of the year (at least for me)! This blog is so great .. Keep up the good work!!! Are most common precision barrels made of SS or CM? Chrome-moly is often applied to rifles that may be exposed to corrosion. 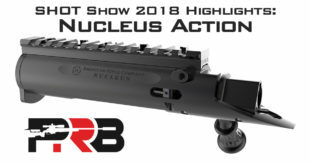 A Navy Seal that may get his AR-15 in sea water needs a chrome-moly barrel. But it doesn’t make a gun more accurate, and could potentially make it less accurate (for the reasons above).